Castle Connolly’s 20-year Top Doctor Program awards renowned Dr. Andrew Levi for excellence in reproductive assistance in the New York metro area. 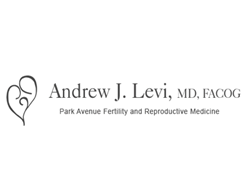 Founder of Park Avenue Fertility, Dr. Andrew Levi, has been recognized by Castle Connolly’s Top Doctor program for his excellence in the field of Reproductive Endocrinology and Infertility in the New York metro area for 2015. This recognition follows on the heels of previous Top Doctor recognition in Fairfield County. Award winners are selected by their peers from various medical fields as well as a team of physician-lead researchers to ensure that the most excellent physicians are chosen for the merit of Top Doctor. Park Avenue is a leader in modern fertility treatments and provides unique protocols that are customized for each patient’s needs. Their offices in Fairfield, Trumbull, and Norwalk provide a variety of progressive treatment options including traditional in vitro fertilization (IVF), preimplantation genetic and diagnosis (PGS and PGD) testing, egg donation, gestational surrogacy, natural cycle in vitro fertilization (NC-IVF), intrauterine insemination (IUI), innovative treatment of recurrent miscarriage and treatment for male infertility. “Our goal at Park Avenue Fertility is to offer the most advanced, caring fertility assistance available. We pride ourselves on helping our patients realize their fertility desires.” Explains Dr. Levi. Castle Connolly’s Top Doctor program is recognized in multiple national media sources including The New York Times, Good Morning America, USA Today, Redbook, 20/20, and Town and Country. Castle Connolly uses unbiased and inclusive research to provide the public with a local, annually updated list of the best in healthcare. Contact Park Avenue Fertility at 855-901-BABY or 203-372-6700 to learn more about fertility treatments in the New York metro area. Park Avenue Fertility proudly serves Ansonia, Bethel, Branford, Bridgeport, Brookfield, Cheshire, Danbury, Darien, Derby, Easton, Fairfield, Guilford, Hamden, Litchfield, Madison, Milford, Monroe, Naugatuck, New Fairfield, New Canaan, New Haven, Newtown, Norwalk, Orange, Oxford, Prospect, Ridgefield, Seymour, Shelton, Stamford, Stratford, Trumbull, Walcott, Wallingford, Waterbury, Weston, Westport, Wilton, Woodbury and Fairfield County Infertility.